welcome Wuyi, glad that you like it. I belive that for native English speakers it have to a lot of fun to read my broken lenguage hahaha. beautyful Elena's shino. Thanks for a link. Having just returned from Korea, I can stimulate your memories a bit more. So many lovely memories of the long walk from the parking lot to the glorious Mungyeong exhibition park with the mountains on both sides of the small valley and the flowing, bubbling, river making its way down stream over the rocks and under the bridges that cross it. Finally, seeing the Joseon village and the large gateway leading to the main festival buildings. Cool, mountain air with drizzling rain and somewhat muddy path, my lungs are filled with the fragrance of this land. Many artists exhibiting this year that were not there last year as you know. Many new International potters with very good work. All in all a very good place to be for a few days. 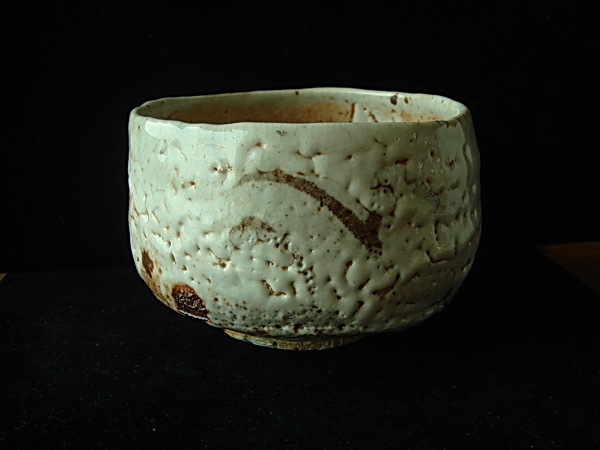 Speaking of Elena Renker, I also bought a chawan from her and I have asked her to work with me on my new teaware online shop. I love her tea bowls. For me, they are like shino raku. I would post a photo of her piece but I don't know how to do it or if I can on the blog. Many other good potters were there. Phil Rogers, Lisa Hammond, Rob Fornell, Peter Fulop, and, many others. You were noticeably absent and I complained to the organizer! Next year for sure! Thank you for sharing your fresh memories. I am sure that visiting Mungyeong brought you many delightful moments. And I also look forward to be there again one day. I just enked my post by the picture of your new Elena's tea bowl. Thank you ! I hope your on-line galery will grow and make you happy.